Dr. Donna B. Peavey is the Associate Professor of Christian Education at the New Orleans Baptist Theological Seminary, a ministry specializing in seminary education and educational consulting. 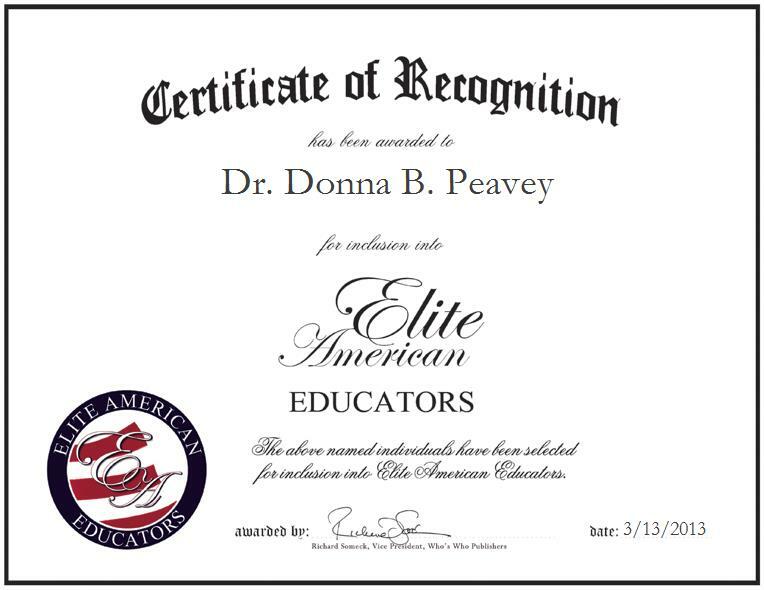 With a pronounced background in childhood education, Dr. Peavey shines as a luminary in her field, bringing forth a wealth of knowledge and a diverse skill set to her current role, wherein she is primarily in charge of teaching graduate and doctoral students on topics related to Christian education. She also serves as a keynote speaker at educational conferences. As a teenager, Dr. Peavey knew she had her calling to the Ministry, then got her education in the field, served local Churches and earned a Ph.D. at the New Orleans Baptist Theological Seminary. She is proud to serve in as an educator, and she attributes her success to her determination to follow what she believes is God’s calling for her.